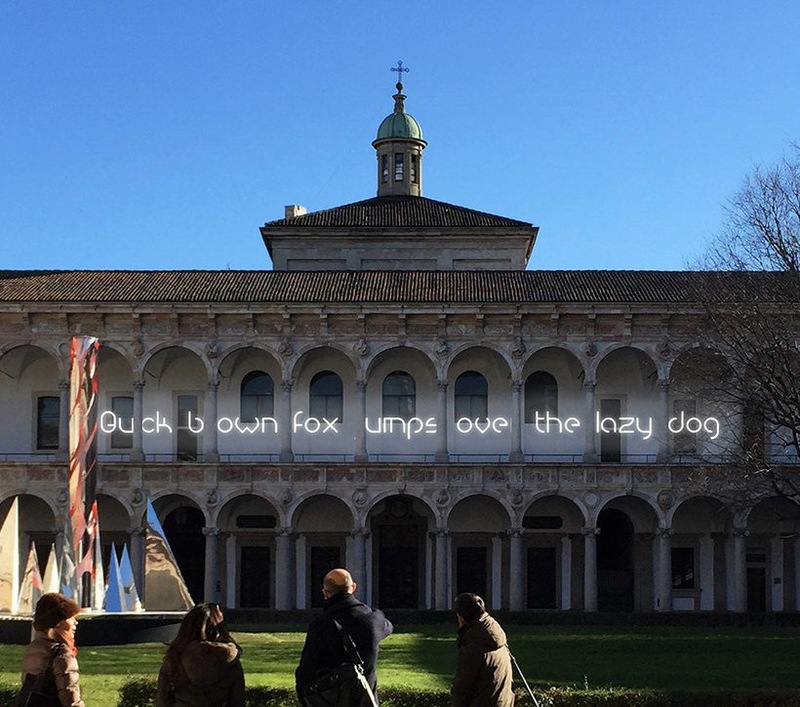 The title of the installation is a pangram, or a plausibly meaningful phrase that contains all the letters of the alphabet. 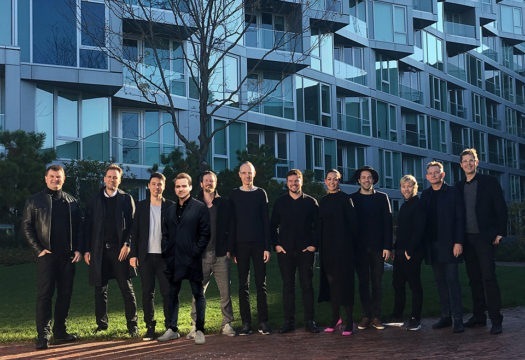 It becomes the pretext for the Danish studio Big- Bjarke Ingels Group to intervene in a light, non-aggressive way in the Loggiato Est, significantly transforming its perception. The phrase, taken out of context and inserted in a historic work of architecture, takes on a surreal and intriguing tone. 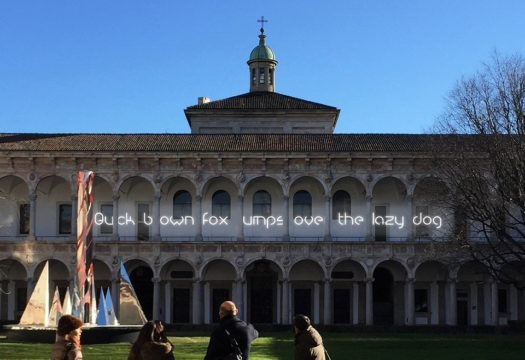 The pangram is like a presence of light in space, whose ethereal character forms a contrast with the material substance of the historic building. The installation makes use of Alphabet of Light, a system of lights designed by Big for Artemide. It is a language of light that with just two pieces permits creation of all the letters of the alphabet in a new font. For this project, Big had two sources of inspiration from Denmark: the so-called systematic creativity of Lego, combining logic and fantasy, and the additive theory of the additive theory of the architect Jørn Utzon, who built a wide range of different works using just a few formal elements.